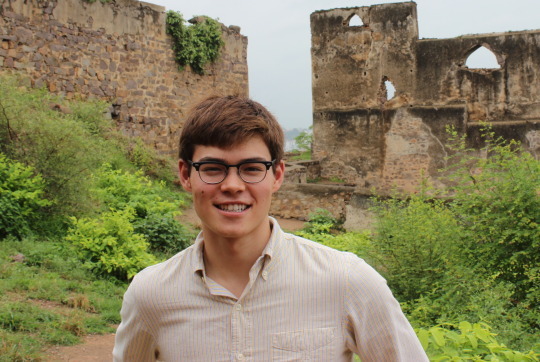 John Lowry is a TCi intern and undergraduate senior studying biology and government. Alongside the other interns at ICRISAT, he studies individual and household dietary diversity. Below, John recounts the intern team’s introduction to ICRISAT and the spirit behind TCi and ICRISAT’s work. Moments ago, the man that sat in front of us brimmed with energy, excited to take us through the fields of crops designed to resist drought and yield more than local varieties. Our tour of ICRISAT was part of a broad introduction to the efforts ICRISAT makes to improve rural livelihoods in India. Our own research, identifying the types of food villagers were eating with a short survey, would supplement the broad data bank ICRISAT kept and further our own research interests in eating out behavior and marketplace food variety. Mr. Sharma respected the power of science. He watched as transgenic and crop improvement research helped boost India’s small-farm agricultural system. He did not subscribe to the fantasy though that science alone was responsible, nor capable of continuing India’s leap forward. When India’s farmers accept a crop they have never seen before, their choice is but one of many choices that propel India toward self-sufficiency. Preceding them are politicians who set aside funding for research. And behind said research are scientists and social scientists who spend their lives exploring how to improve the lives of others. Mr. Sharma eventually took us on the tour of ICRISAT, and as it closed we came upon some dark, smelly mounds. “This is where they bring the post-harvest waste to decompose, so then we can use it as compost come planting season” he explained. It was a system, driven by faith that every step contributes to a larger cycle, and purpose. We felt a part of something during that tour. We might just be interns, but our research, however brief over these seven weeks, is our small step in the larger advance toward improving India’s rural livelihoods.